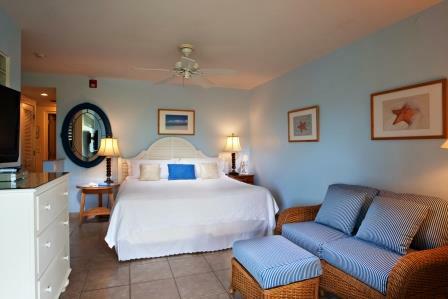 Ocean Club West Resort is situated directly on the white sands of Grace Bay Beach, consistently named a top beach in the world.Set amidst lush tropical gardens, Ocean Club West offers a variety of room accommodations from a Studio to Three Bedroom, each with a kitchen facility and private balcony or patio to take in the gentle trade breeze. Guests can indulge in spa treatments, free-form pool, tennis, complimentary bikes, fitness centers, watersports and golf at the nearby Provo Golf Club. 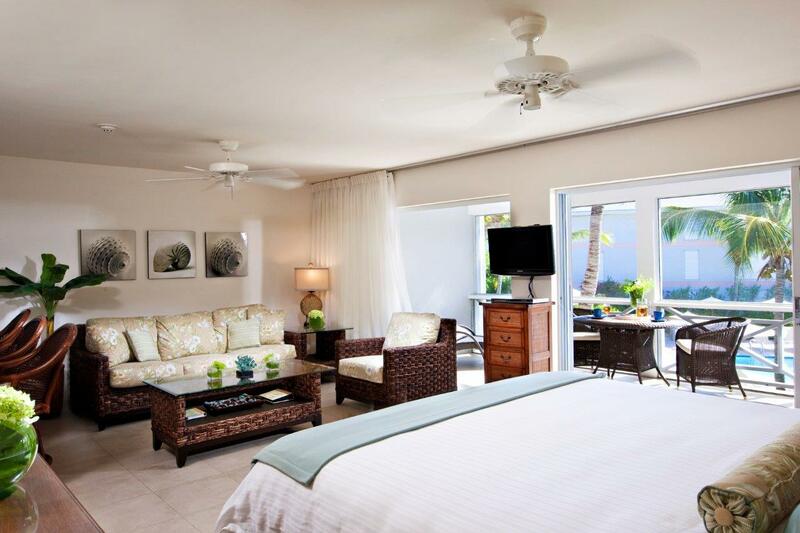 Ocean Club West is one of the most centrally located resorts on Grace Bay Beach; within walking distance of restaurants, shopping and a grocery store. 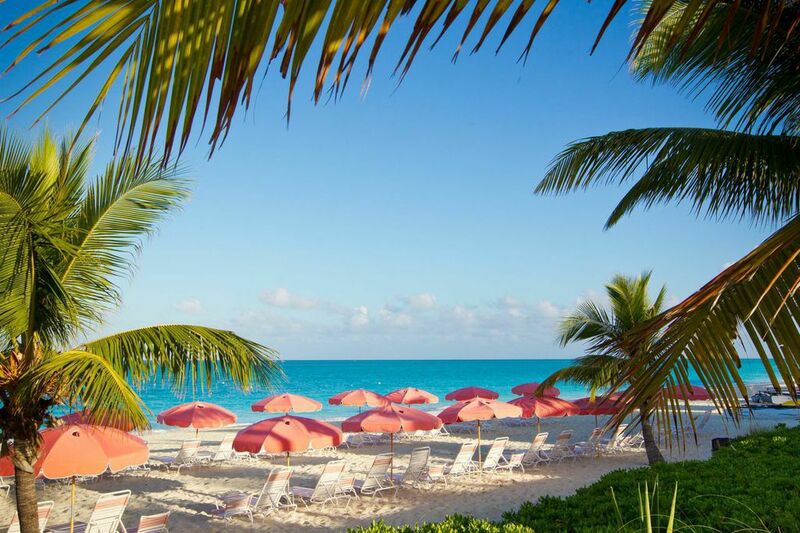 A "Stay at One, Be our Guest at Both" policy allows guests full privileges of Ocean Club West and Ocean Club, with a complimentary shuttle or a guest may opt to take the 15-minute blissfull walk on this white sand beach with turquoise waters. At Ocean Club Resorts they're proud to provide guests with three unique dining options: at Ocean Club West the Caribbean influenced Seaside Cafe with panoramic views from its beachfront deck, and at Ocean Club the sophisticated Opus Wine-Bar-Grille featuring fine dining in a stunning garden lounge and the Cabana Bar & Grille to take in the best sunsets on the island.